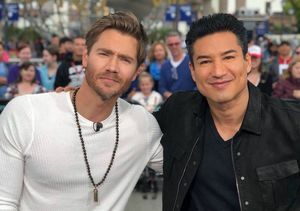 "Extra's" Senior Music Correspondent Adam Weissler sat down with "True Blood" Music Supervisor Gary Calamar and actor Todd Lowe at The Grove to chat about the soundtrack of the HBO series. Todd, who plays Terry on the show and is a musician in real life, talked about what's in store for his character on "True Blood's" upcoming season 6. "True Blood" Soundtrack, Vol. 4 is in stores now, and you can check out Todd's band, LA Hootenanny, here.